Most parents would never imagine their children abusing prescription medications— and using the medicines in their own medicine cabinets to do so. The problem is becoming far more prevalent, however, with over 15% of teens reporting having abused some form of prescription painkiller at least once before graduating high school. Peer pressure, stress, experimentation and rebellion on the way to becoming independent adults often lead teens to abuse drugs, and the easiest access may come right from their parents’ supply. It is important that you are aware when your medication goes missing and that you educate your children on the dangers they face when abusing prescription drugs. While the symptoms of drug abuse often mimic those of mental health problems, there is often a correlation between drug abuse and depression or anxiety. If you notice that your child is exhibiting the following behaviors, something may be wrong and you may need to intervene or find your child some help. You notice that your medications have gone missing or that you need to refill them more quickly than anticipated. Rather than just take the bottle of medicine, your child may steal a dose at a time to avoid being caught. 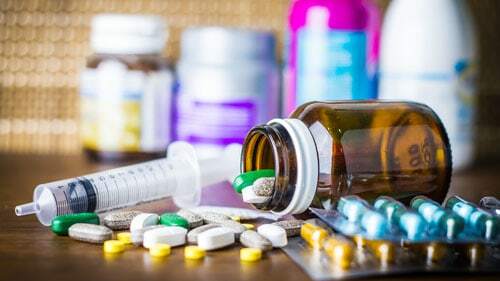 In some cases, children will steal medication that you no longer need, such as Vicodin or OxyContin, so it is important to discard these drugs when you have recovered from an injury requiring their use. Rapid changes in behavior. If your child turns into a different person in a seemingly short period of time, it could be a sign of any number of problems. Drug abuse can make teenagers withdraw from their current social circle, perform poorly in school and get into violent altercations they never would have before. Poor hygiene. Depression, anxiety and drug abuse can all result in an apathetic attitude toward your child’s appearance and hygiene. If you notice sudden changes, there may be a drug problem behind them. Drastic reduction in sleep or excessive sleeping. A severe swing in your child’s sleep patterns can be an indication that he or she is taking prescription medications without consent. Your teen is caught stealing money. Drug habits are supported with money, and if your child does not have the funds to pay for his or her high, he or she may go to drastic measures to acquire it, such as theft or robbery. Sudden changes in eating habits or weight. Many medications have an impact on appetite and metabolism, so sudden weight loss or a lost appetite could be a sign of a drug problem. Catching your teen in a high state. Slurred speech, changes in pupil dilation, excessive drowsiness and other side effects of prescription medications are sure signs of a drug problem. While the above signs of drug abuse may indicate a problem, they are not always indications of a drug related one. It is important to address your child in a supportive manner and find out what is truly wrong before deciding how best to get your child the help that is needed. Ways that you can prevent a drug habit from forming due to stress, depression and mental health issues include the following. Discard your medications when you no longer need them. Many teens steal from their parents’ medicine cabinets first. They often take medications that have been left over from the treatment of an injury that had healed. Keep track of your own prescription usage. You should know when you are due to refill your prescriptions. If you run out early, there is a problem. Speak with your children about prescription drug abuse and inform them of the dangers and potential consequences. Never ignore warning signs. If something isn’t right, address the issue in a supportive manner. You can also refer to the following resources for information on how to prevent teen prescription drug abuse and what to do if you suspect that your child has a problem.